The BETTER LINE Children's Watch is the perfect first watch for any child. 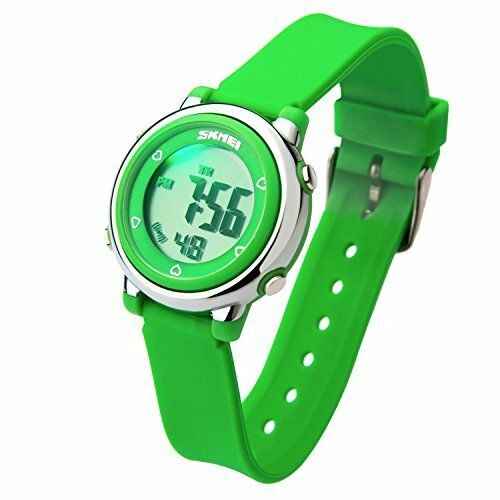 this watch is built tough to stand up to frequent wear, and it's comfortable for children to wear all day long. that tells the hour, minute and second as well as the day of the week. and the watch even includes a 1/100 second chronograph with a split function for timing. With the hourly chimes and the programmable alarm, kids will never be late for anything. The watch even has an EL backlight of six colors to choose from that makes it easy to read at night. Help your child learn to tell time the simple, stylish way! Order the BETTER LINE Children's Watch today. ⌚ THE Watch Even Has an EL backlight of six colors to choose from that makes it easy to read at night. If you have any questions about this product by BETTERLINE, contact us by completing and submitting the form below. If you are looking for a specif part number, please include it with your message.